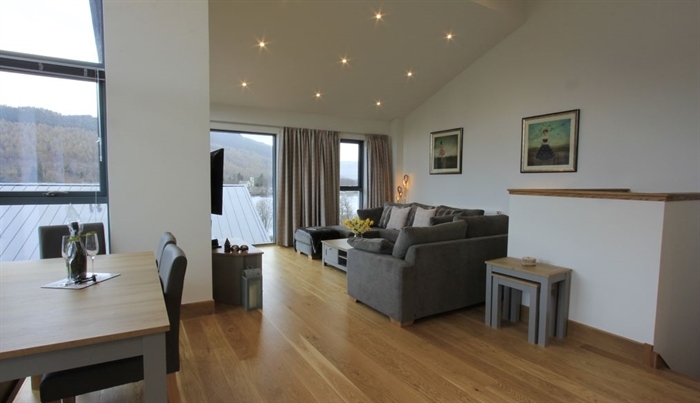 A Luxury "upside down" Holiday house making the most of the fabulous views over Loch Tay. 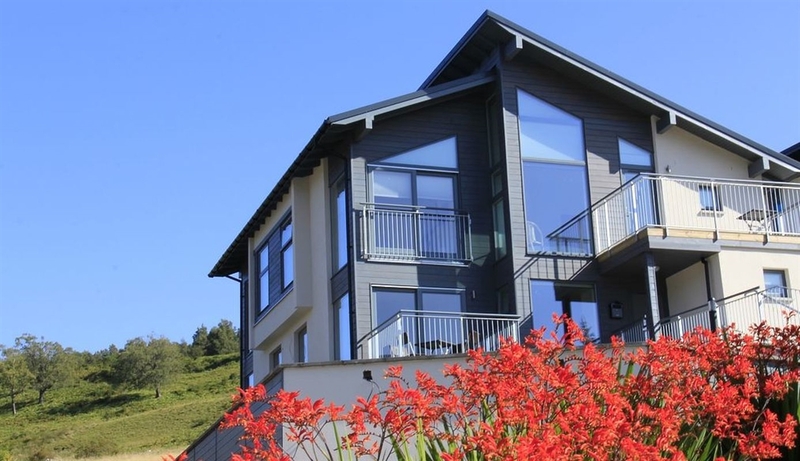 Set in a wonderful scenic spot with spacious layout of accommodation which is ideal for groups and family's of up to 6, with other holiday houses adjoin it is also perfect for bigger groups using two or more houses together. 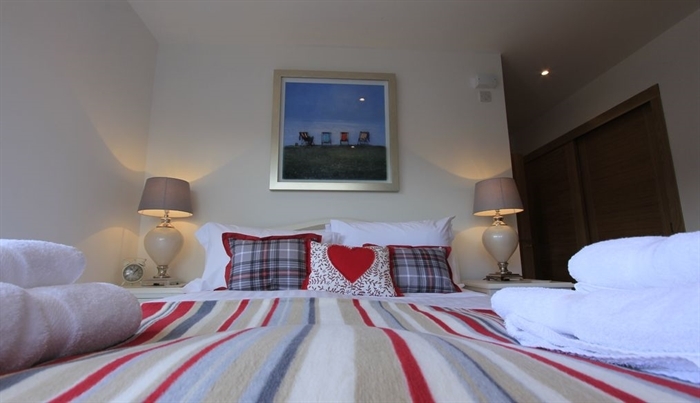 The house is perfect for a memorable holiday or short break allowing quality time with friends and family; imagine retreating to this gorgeous, modern apartment with sweeping views of the loch and your own private hot tub after strenuous water sports activities on the loch or days out in the local area enjoying all that the Highlands have to offer. 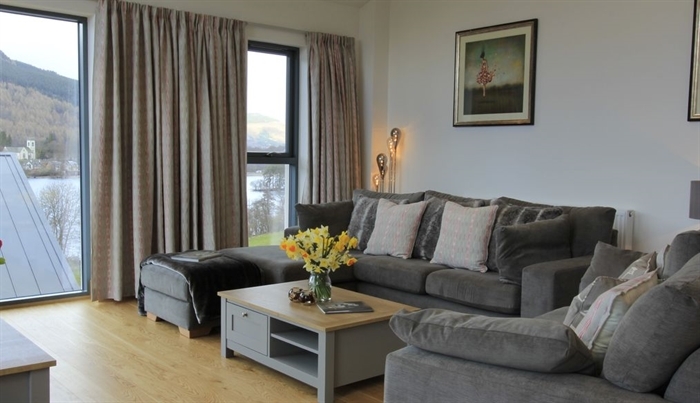 The facilities at Taymouth cater for all but you may just want to stay at the house taking in the stunning views and landscape. 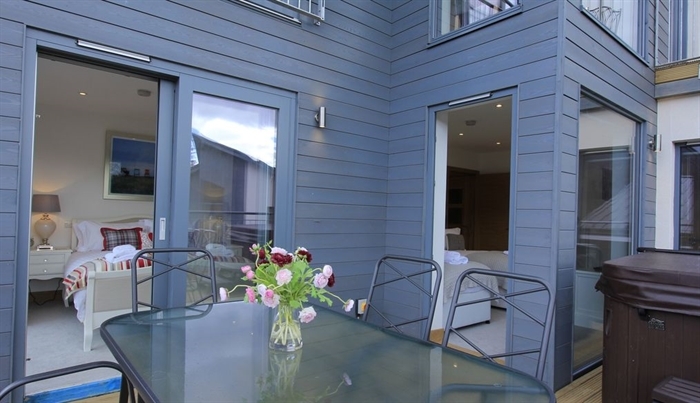 If you do want to get out and about then water sports of all sorts are on the doorstep at the marina together which included a popular cafe and restaurant. There is also an innovative communal Hotbox Sauna with slide into the loch to find out how brave your heart is! 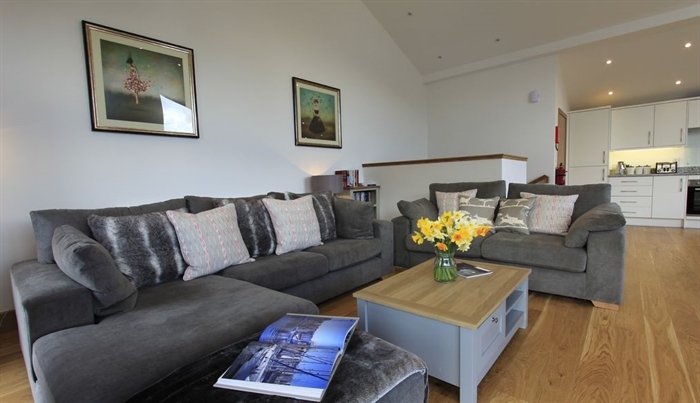 Imagine sitting around the fire pit by the bar, drink in hand, looking out over the enchanting Loch Tay. 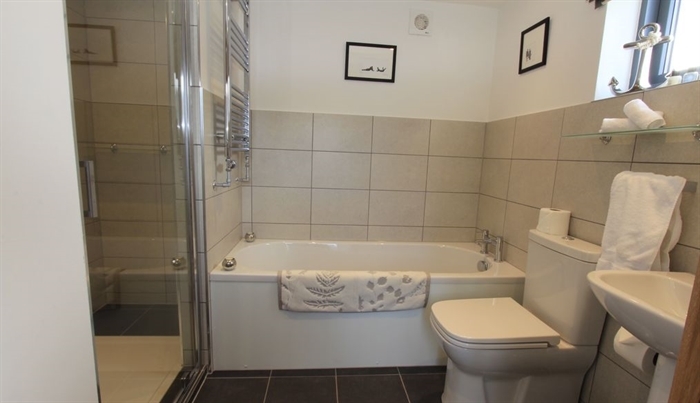 Accommodation for 6 on two floors: First floor with spacious open plan sitting room/dining area and fully fitted Kitchen; bathroom with shower over bath; sofa bed in sitting room; utility room; Balcony with Hot Tub off sitting room. 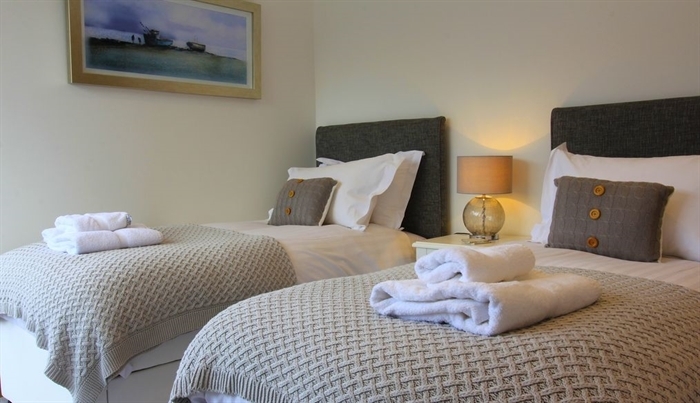 Services: Central heating & electricity included * Bed Linen and towels * Dishwasher* Washing machine * Tumble Drier * Fridge/Freezer * Wifi*TV*DVD* Balcony with Hot Tub* Parking * Bicycle storage * No Pets.